Take photos of the Rainbow Mountains, one of world&apos;s 25 dream travel destinations as described by many well-known websites. 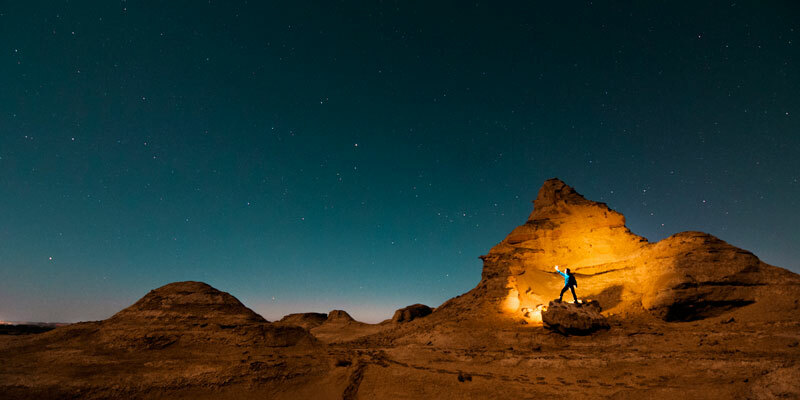 Witness the desert wonder — Crescent Moon Spring — and shoot the desert sunset. Visit the unique Devil City to capture the shapes and shadows of the Yadan landforms. Zhangye has become a new star destination for photography in recent years, with people traveling there from all over the world to see its marvelous landscapes and colors. 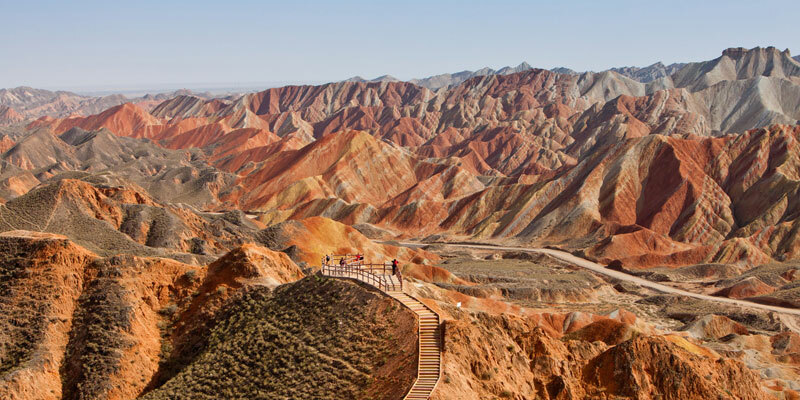 In this photography tour, you will have sufficient time to take photos of the Rainbow Mountains, rocky landscapes, desert wonders, and cultural relics. When you arrive in Zhangye, your private tour guide will be waiting for you at the airport/ train station. A comfortable vehicle will be ready to transfer you to your hotel. After breakfast, start your photography tour at the most popular site — the Rainbow Mountains. As the name suggests, the Rainbow Mountains have several belts of color. It looks as though colors have been spilled over the mountains, hence its nickname: &apos;Color Palette Overturned by God’. You will spend the whole day there so try different angles at different times of the day. In the morning, the weather is cool and the coloring tends to be blue, whereas in the afternoon the coloring tends to be red under the sun. If you like, you can stay in the Rainbow Mountains area from the time it opens until the time it closes (7am–6pm in summer, 7:30am–5pm in winter). If you don’t get satisfactory photos while you’re there, you can add another day! 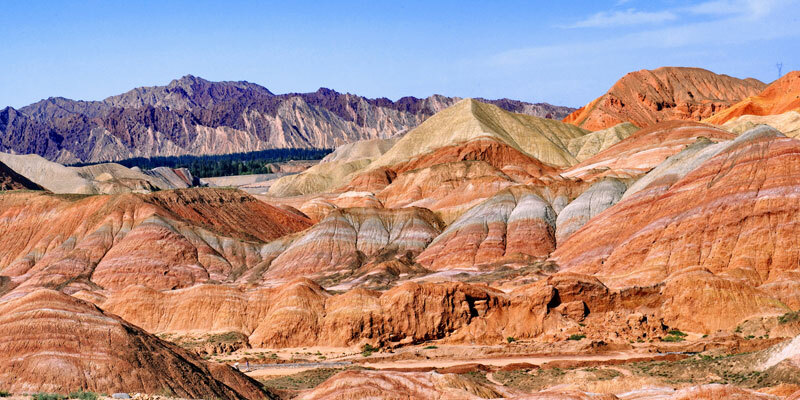 People go to the Rainbow Mountains for their colors and visit Binggou Danxia Landforms area for its rock formations. You will spend the whole day in the Binggou Danxia Landforms area, which is also part of Zhangye Danxia National Geological Park. Different from the colorful Rainbow Mountains, the Binggou Danxia Landforms display more normal colors but more peculiar shapes. After you have seen the landforms, you will be driven back to the city to enjoy a local dinner. Afterward, your guide and driver will take you to the station for your train to Dunhuang. You will have a private deluxe soft sleeper compartment on the overnight train. Have a good sleep and you will wake up the following day in Dunhuang. Ganzhou Market is the busiest place in the evening in Zhangye. You can enjoy trying various types of local food there. People love to gather there to enjoy barbecues, sweetmeats, noodles, and beer. Your Dunhuang tour guide will be waiting for you at the train station, ready to transfer you to your hotel. 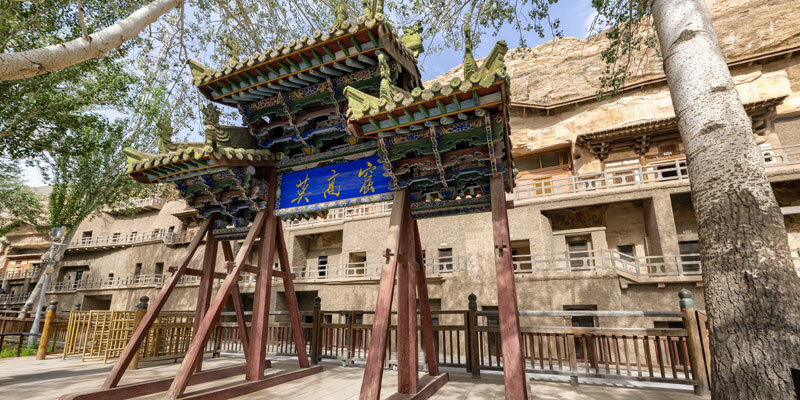 After breakfast in your hotel, you will visit the Mogao Caves, which were built at the edge of the desert between the 4th and 14th centuries. Although you can’t take photos in the caves, it’s good to have the opportunity to see the original items inside them, and you will have the chance to take photos of murals in another location the following day. After lunch, go to the Singing Sand Mountains and Crescent Moon Spring. Climb to the top of a sand dune to enjoy the marvelous spectacle of the crescent moon-shaped spring lying in the desert. Ride a camel in the desert and imagine how caravans crossed the desert over 1,000 years ago. You can also take photos of a desert sunset. The ticket for the Singing Sand Mountains and Crescent Moon Spring allows for a second entry into the area. Therefore, if you want to, you can go back to this site again the following day. In the morning, you will visit Dunhuang Museum , where you can take photos of exquisite murals copied from those in the Mogao Caves. After lunch, you will be driven to Devil City — Yadan National Geological Park. Devil City is famous for its nighttime sounds and vivid rocks in various shapes that look like animals or world-famous attractions. If you want to, you can stay there until sunset. The sunset in the Devil City is highly recommended, witness the sun going down above the vast Gobi Desert, you might feel like you are on another planet. When you are in the Devil City, you can rent a jeep instead of the official shuttle bus, which will give you more flexibility to explore the corners. Your guide and driver will take you to the airport to catch your flight and will make sure that your check-in goes smoothly. 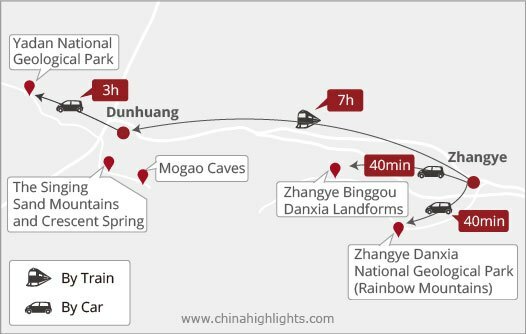 Domestic airlines and trains can access Zhangye and Dunhuang easily. There are daily flights between Zhangye/Dunhuang and the main cities in China, such as Xi’an, Shanghai, Chengdu, and Lanzhou. Please tell us your previous/next destination, and we will help you to arrange the transportation.